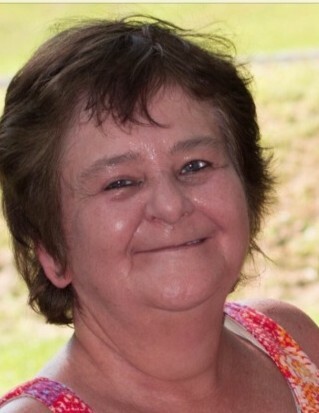 Obituary for Victoria Wilfong | John Syka Funeral Home, Inc.
Victoria Sipes Wilfong, 66, of Midland, formerly of Aliquippa, died Monday, February 11, 2019 in Golden Hill Nursing Home, New Castle. She was born March 30, 1952 in Sewickley, Pa. to the late Floyd and Victoria (Debrucky) Sipes. She was a retired housekeeper for the Edgeworth Club, Sewickley. Preceding her in death in addition to her parents was her husband, Clarence Wilfong, Sr. She is survived by three sons, Clarence W. Wilfong, Jr. of Midland, Duane Earl (Angela) Wilfong of Monaca, Douglas Kirk (Tammy) Wilfong, Wierton, WV, grandchildren, Nikki Lynn (Shane) Emerick of Hookstown, Samantha Wilfong of Rochester, Brittany Wilfong, Wierton, WV, Douglas Wilfong, Jr., Kasey Wilfong of Heidelburg, Brandy Wilfong of Weirton, WV, Reilly Wilfong and Jeremy Wilfong, both of Monaca, seven great-grandchildren, Lincoln, Maddox, Silas, Robert, Paisley, Mason, Addison, and Peyton and numerous brothers and sisters. Friends will be received on Thursday from 3 to 7 PM in the John Syka Funeral Home, Inc. 833 Kennedy Dr. Ambridge. Interment will be private.